My father was a CPA and had a variety of clients, whom he visited in person about once a month. 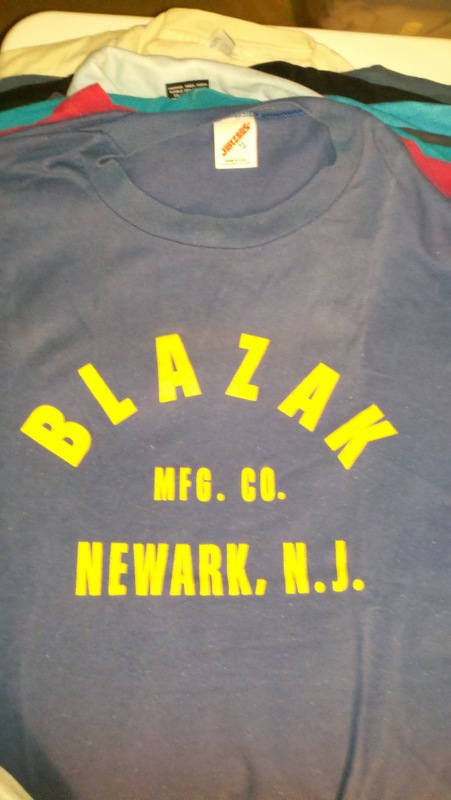 One was Mr. Blazak, who had some sort of metal manufacturing plant in Newark, NJ. He sent this t-shirt home with my Dad one time and I have had it for years. A simple shirt from a simpler time. 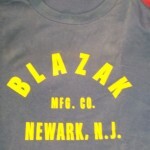 I don’t even remember Mr. Blazak’s first name. But I do remember that when my father was close to retiring, as was Mr. Blazak, my father was essentially let go by Blazak Junior, which my father was expecting because when the younger generation takes over a family business, they often do not want their father’s people in place. They usually want someone their own age. 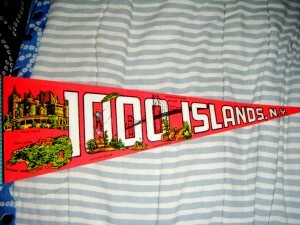 Well, even though my father was expecting this and also expecting to slow his own business, Mr. Blazak was very upset. After Blazak Junior lowered the boom, as it were, Mr. Blazak came into the office, crying, and apologized to my father profusely, since he probably had Dad doing his taxes for decades. After my father died, I wrote to some of the clients I knew he had had for decades to let them know Dad had died. I got a letter a while later from Mr. Blazak’s daughter, who told me that her own father had predeceased my father, and that in the few years since my father’s tenure as their CPA, they had had several accountants. None of them had done as well as my father. Additionally, she said she had worked for her father’s company, and that Dad had taught her a lot about keeping the books well maintained. These are two things I have heard now several times now about my father. That he knew every penny that had from month to month, and that he helped teach the bookkeepers at his clients’ offices how to keep things in order. I heard that as recently as this year, when I visited one of the clients who has a tire store. The bookkeeper there has been there for, oh, four decades. My cousins have also told me this, as he was the CPA for two of their businesses also. In cleaning up the many decades of clutter here in my house, I came across some more evidence of what a good person my father was. One client, not listening to his advice, had undocumented workers in their plant. The owner was fined and sent to prison for about a year. Not only did my father not abandon him, he wrote a letter of reference for his client to the federal government, citing his clients many fine qualities and their close personal association that ran for decades. This client’s mother would send Lebanese spices home to Mom via Dad. She and the entire family were invited to my bar mitzvah. Not all of Dad’s clients were invited, btw. Most of Dad’s clients had small businesses, and had more than one generation working in them. And of course, my father and his partner had maybe one part-time employee. There’s a lot to be said about the virtues of having your own small business and how you relate to others. To this day, I am personally still benefiting from these associations. My tire man and my mechanic are both former clients of my fathers. I have benefited from having good work done, and the very occasional break. When it comes to a lot of things, I try to stick with what Dad might have done. That’s usually worked out for the best. Except for Allstate. They’ve really been very difficult. But then again, nothing horrible ever happened to the house while Dad was still alive. I always appreciated my father’s virtues while he was alive, but I feel like I am appreciating them more deeply, ten years after his death, and wish I could tell him how much all of that means to me. Categories: T-Shirt Stories. Tags: accounting, Dad, goodness, small business.